How Does a Valve Stem Work? A valve stem, for those who do not regularly do their own auto maintenance, is a small, rubber stem that can be found sticking out of the inside of the car's rim. The stem leads into the tire. 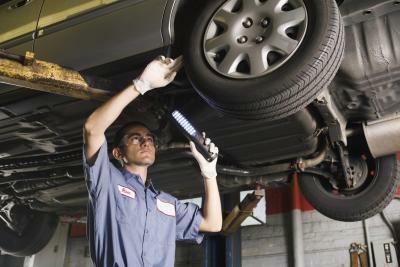 It is covered by a valve stem cap, a small, rubber top that can be easily spun on or off by hand. When the cap is removed and a pressurized air tank is attached to the valve stem, air will leave the pressurized tank and then fill the tire that the valve stem is attached to. This is how air pressure is put into your tires, and if the valve stem is damaged somehow, it compromises the entire tire. A valve stem functions off tension caused by a spring. The air pressure on the inside of the tire keeps the spring in the valve stem tight. 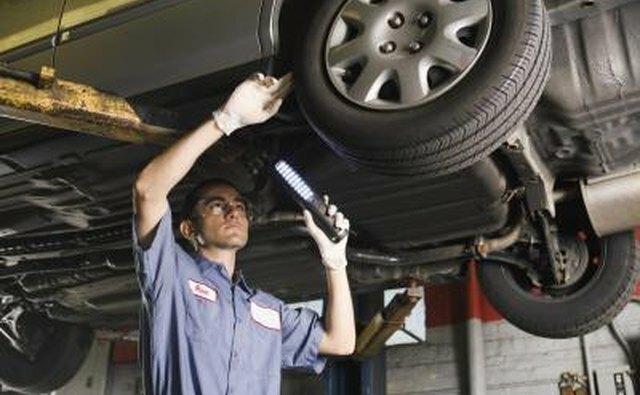 As a result, no air escapes the tire as long as this pressure is maintained. Additionally, air can only enter the tire when the pressure of the air on the outside of the valve overcomes the pressure that is inside the tire already. So when a compressed air tank is hooked up to the valve stem, the air pressure in the tank must be greater than the pressure in the tire if the valve stem is going to open and allow more air into the tire. If the air pressure in a tire is too high and needs to be lowered, then the valve stem is where the air is let out. In the center of the valve stem, there is a small metal nub that needs to be depressed to open a pathway into the tire. Normally, this nub is depressed by compressed air, which then forces its way into the tire. If you depress the nub with something else, such as your fingernail, then the air inside the tire will come out because there is no opposing force (such as the compressed air in a tank) to keep it inside.